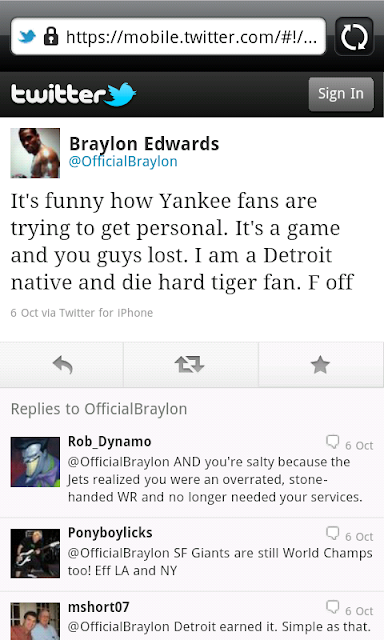 When Braylon Edwards and Yankees fans go to war, it's hard to know who to root for. Wow. I was happy that the Tigers eliminated the Yankees last night, and then this from @OfficialBraylon on twitter.